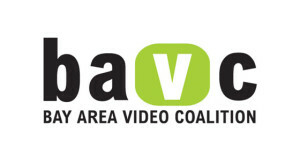 Lovina Okoronkwo, Rigo Valadez-Bigler and Alexis Hernandez are all part of a recent cohort to earn certificates in video post-production from BAVC’s Emerging Media Makers program, which supports youth ages 17-24 who face barriers to employment. Students are dealing with issues such as homelessness, involvement with the criminal justice system, parenthood, emancipation from foster care, learning English, and other challenges. The program provides training and media industry exposure through paid internships and career counseling. KQED was fortunate to have these students produce videos to support the Letters to the Next President 2.0 initiative, specifically their first Media Make: #WhatsMyIssue videos. Check out their powerful videos, and learn more about their experience producing the work.